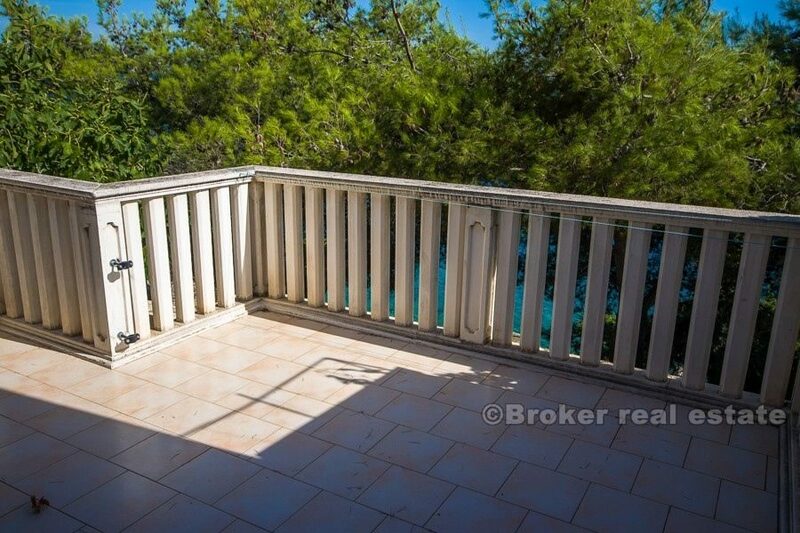 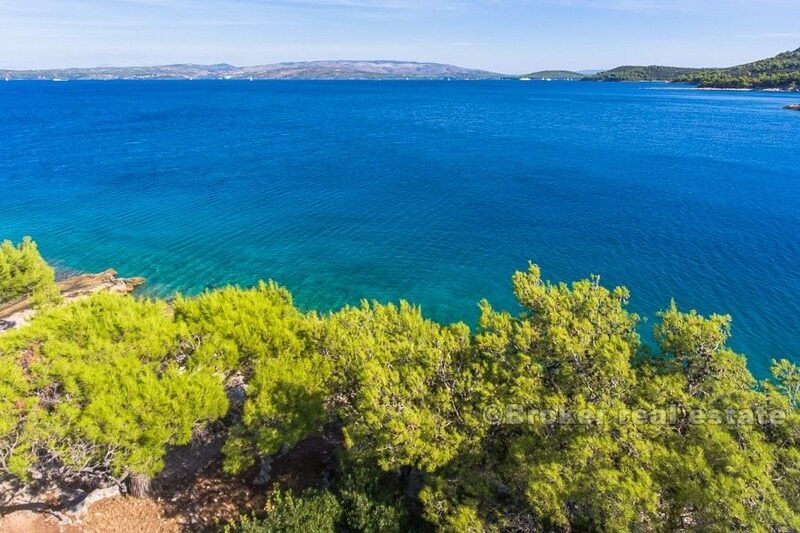 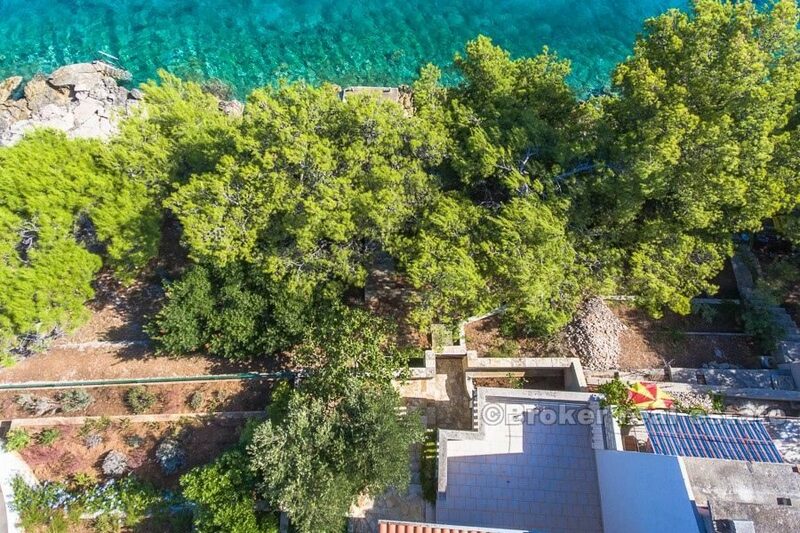 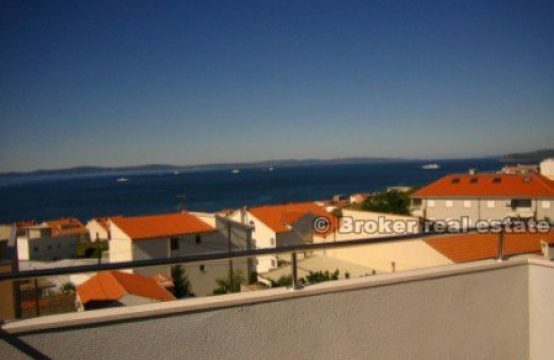 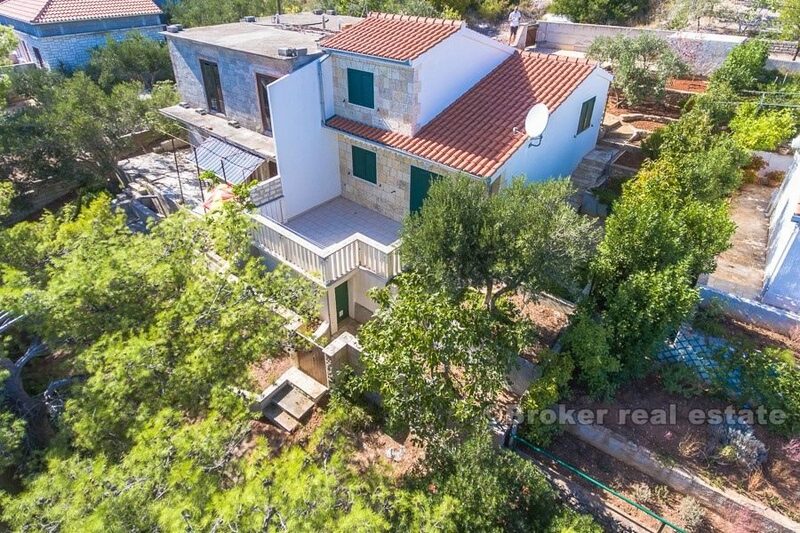 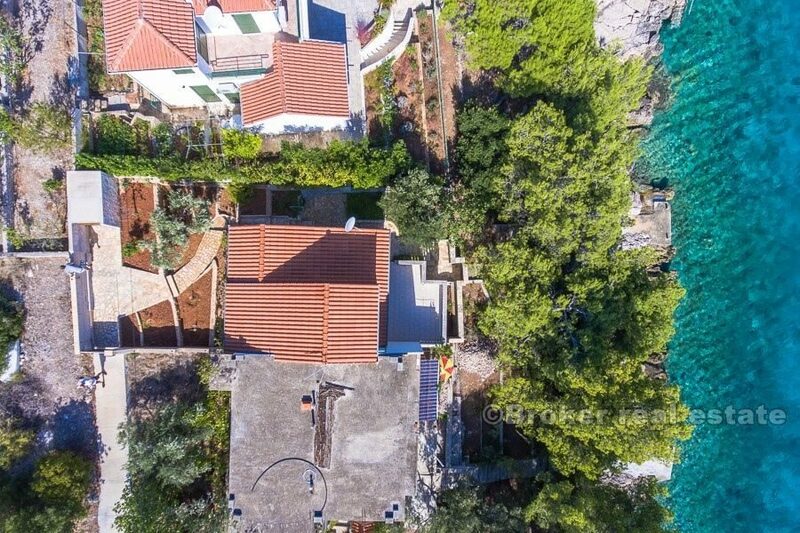 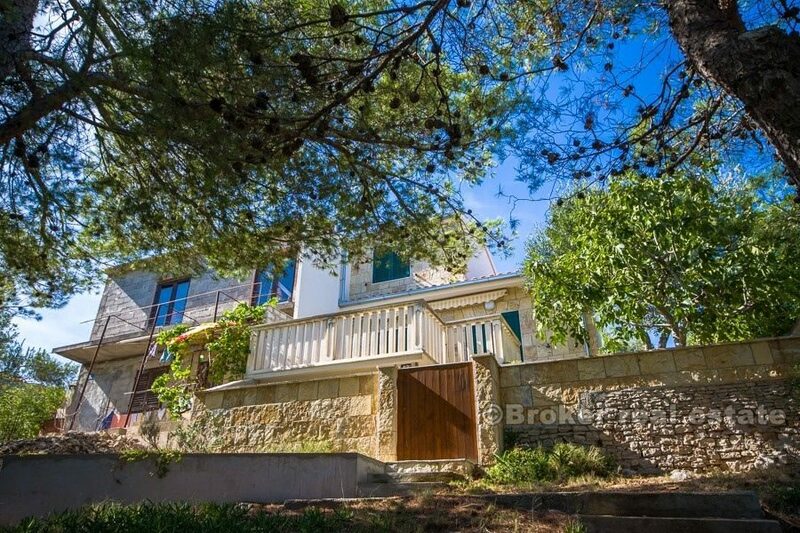 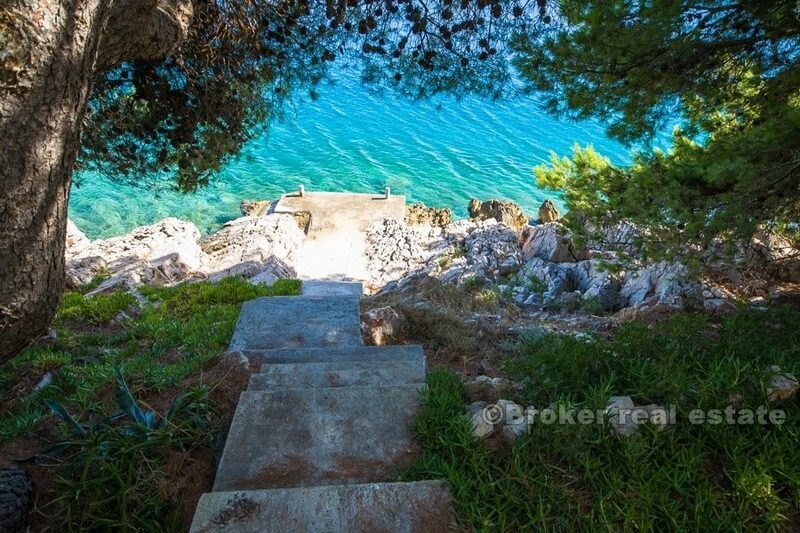 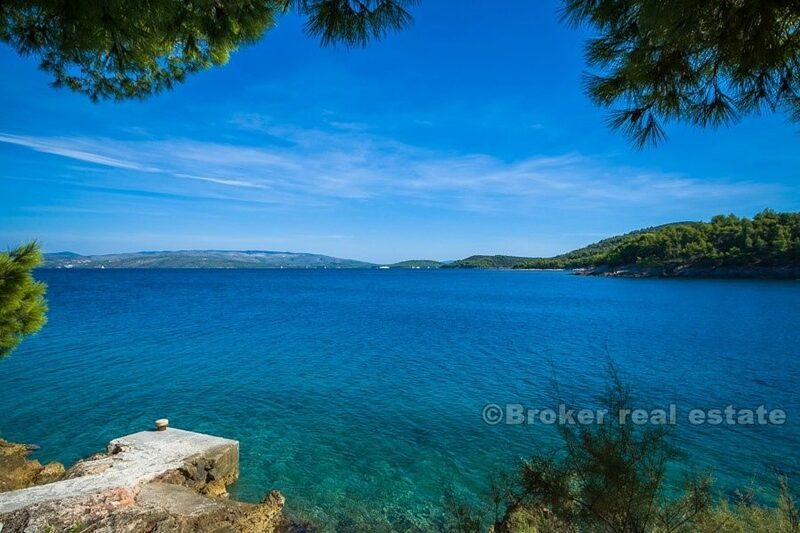 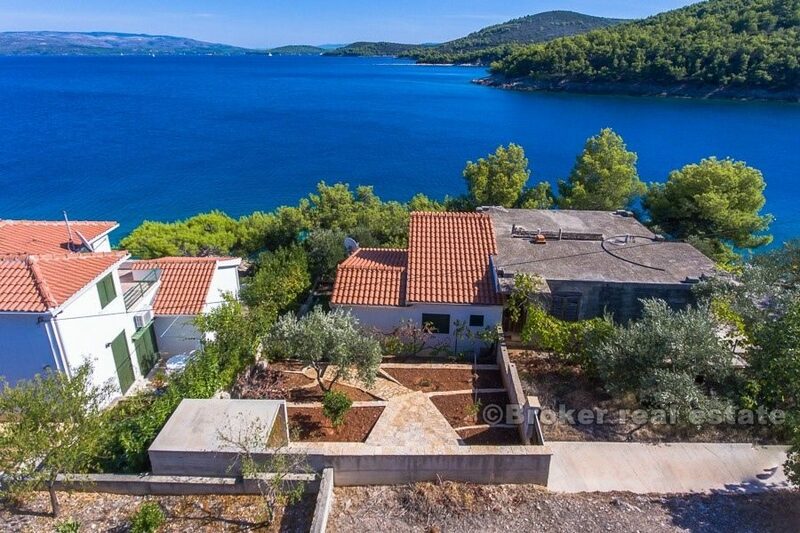 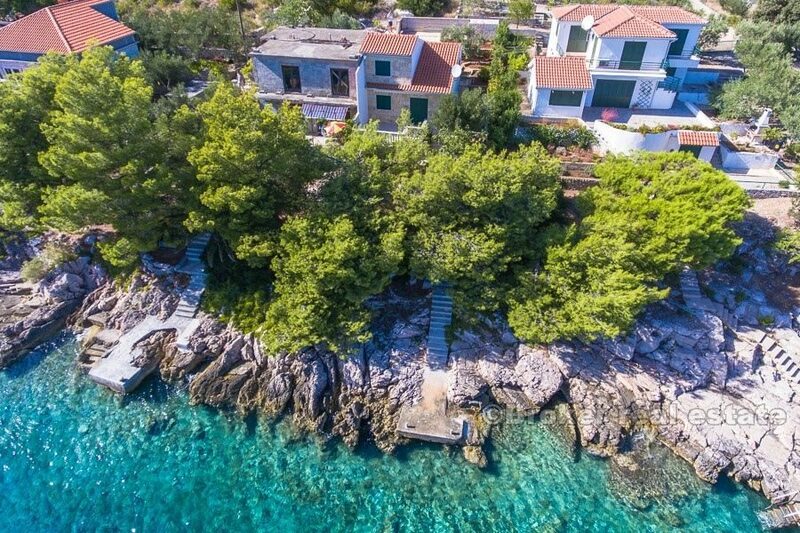 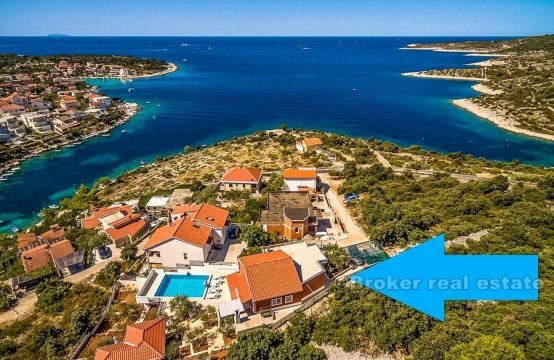 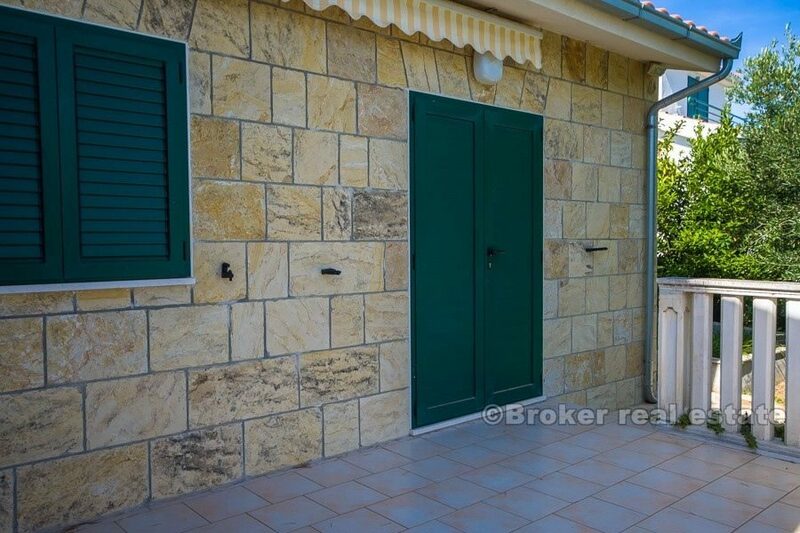 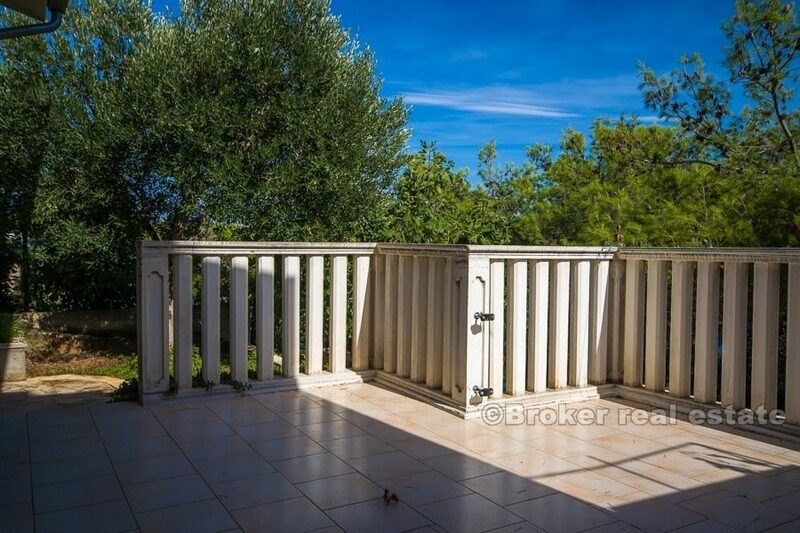 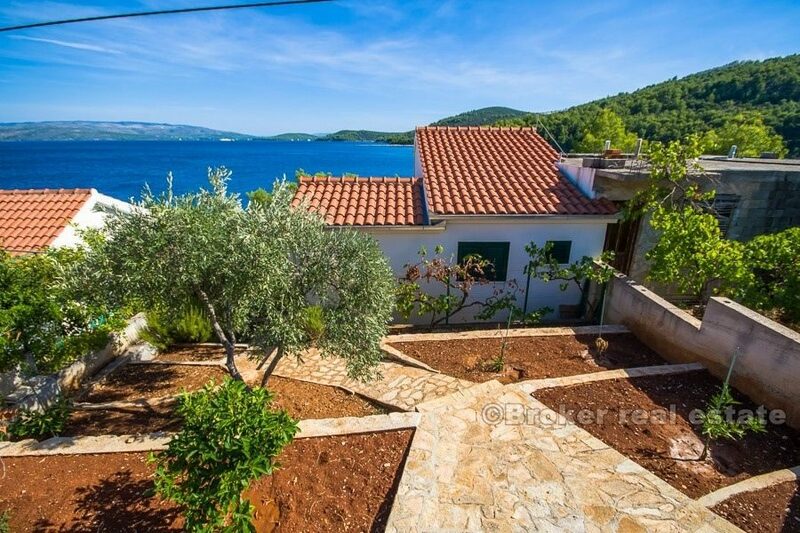 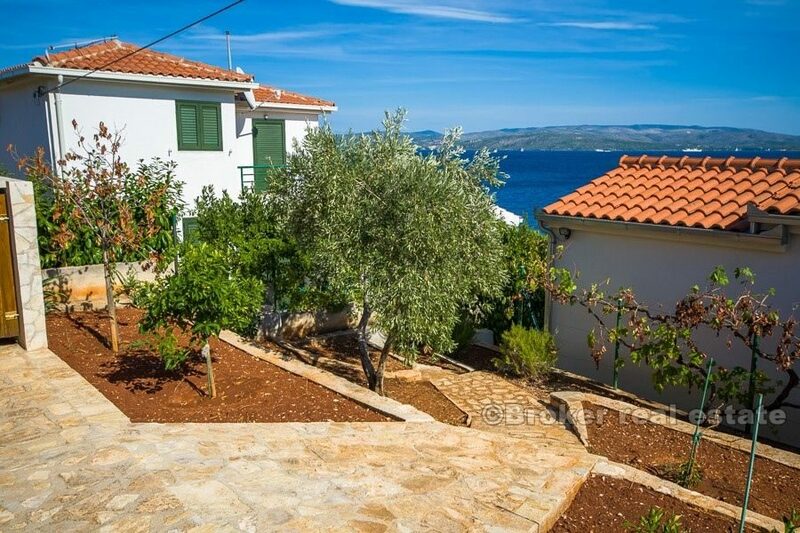 Completely renovated semi-detached house for sale, located in the first row by the sea on a beautiful and quiet location on the southeastern part of the island of Solta, near village Stomorska, with only a few neighbors nearby. 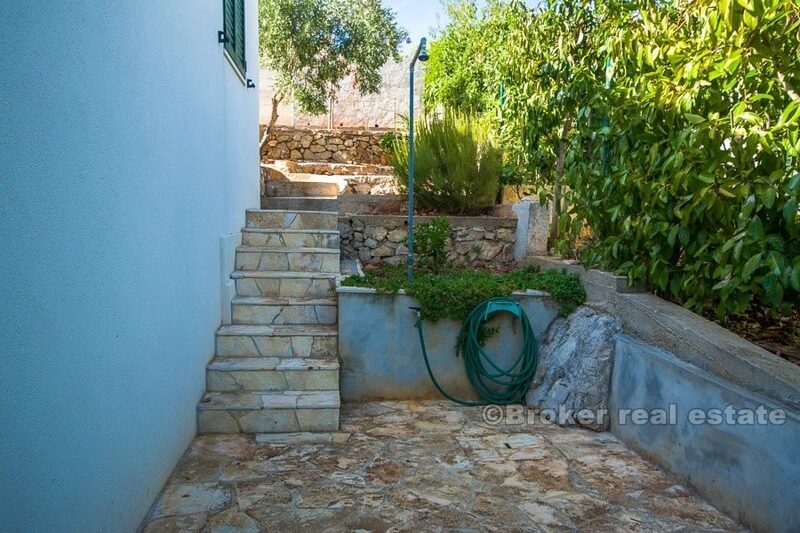 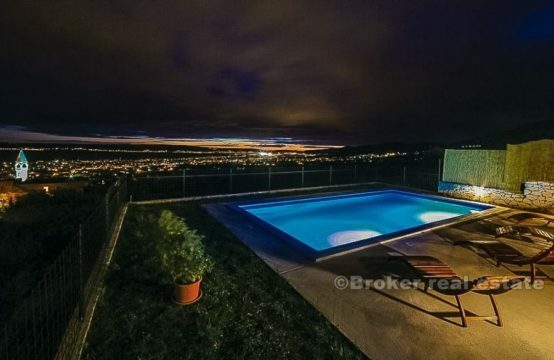 The house has a total living area of ​​60 m2 and is located on a plot of 191 m2. 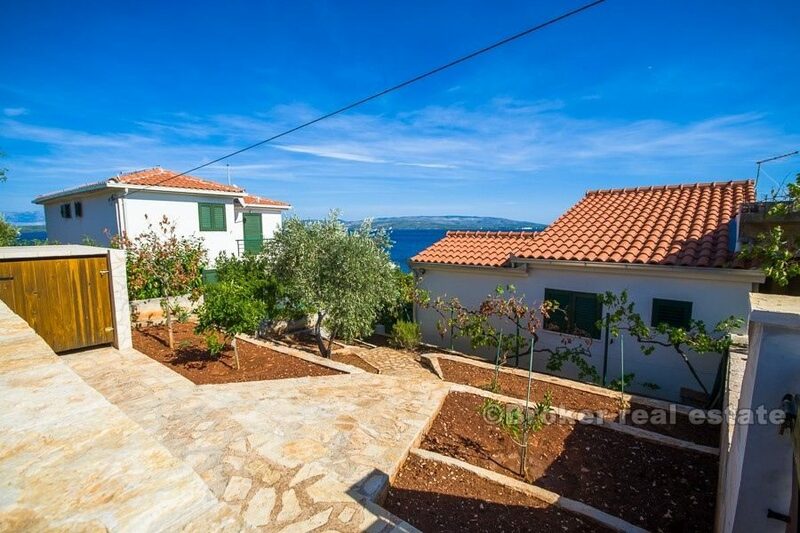 The interior layout is conceived on two floors, with a beautiful terrace on the lower floor facing the sea from which you enter the house ie. 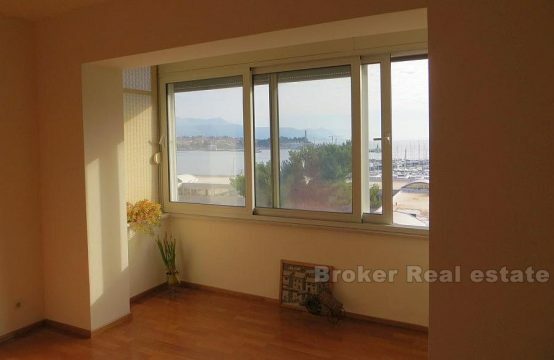 living room, and on this floor there is a kitchen, a dining room and a spacious pantry, while on the upper floor there are 2 bedrooms and a bathroom. 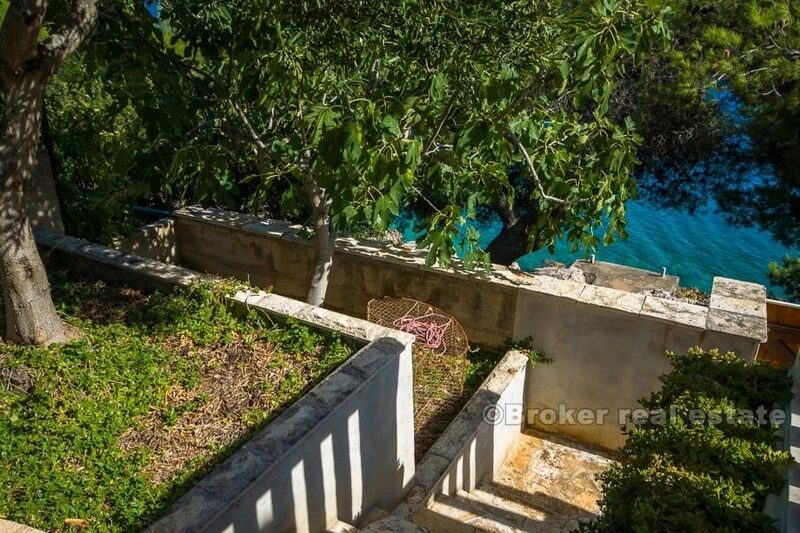 In the well maintained yard behind the house there is an additional small storage, and in front of the house there is a small dock, with private access from the house. 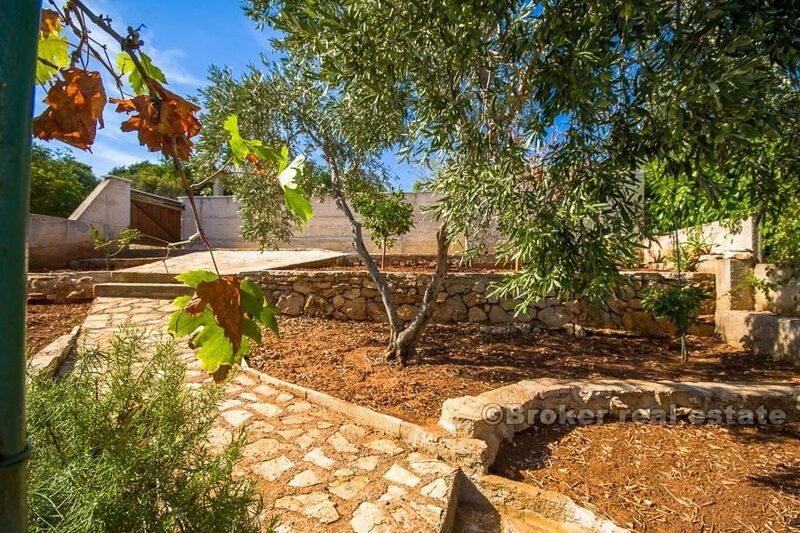 The house has been completely renovated in 2013 and has been very little used in the period to date. 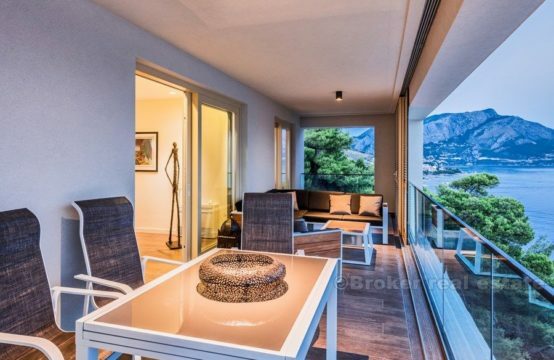 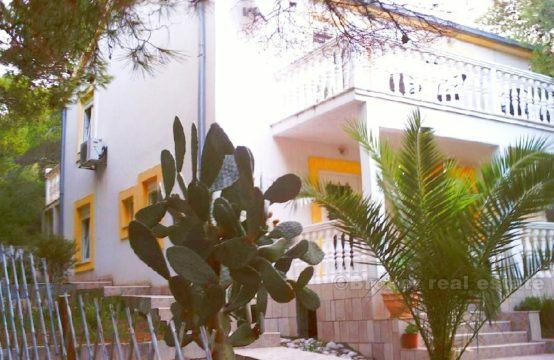 Very interesting holiday property due to the beautiful location on which it is located, in a peaceful bay surrounded by pine trees, ideal as a holiday home as well as for tourist rentals. 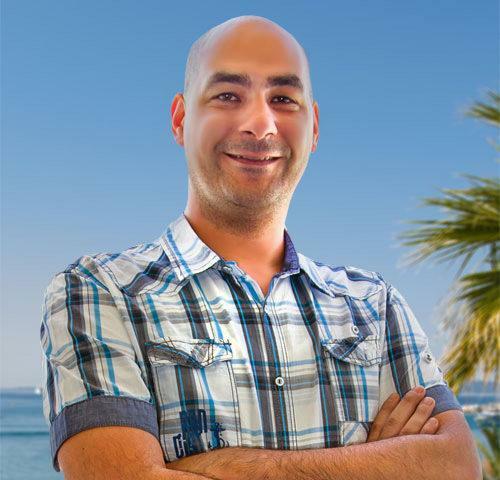 Darko is a person of exceptional trust and significant operational contribution in all areas of business. 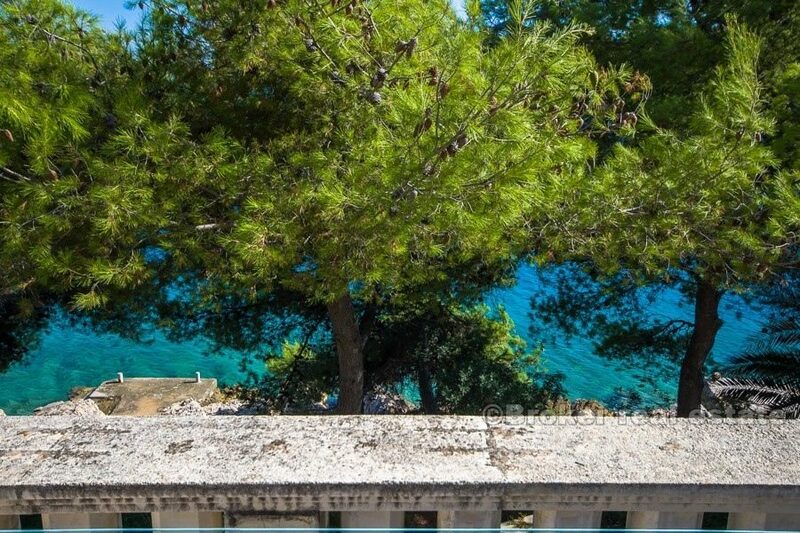 He is an exceptionally high quality business associate, invaluable colleague and extremely diligent professional who is privately involved in photography, and is particularly pleased to visit great sports competitions around the world that he is following with interest.